River cruising has become extremely popular. With so many choices, it can be very confusing. At Kingsbridge Travel, we specialize in river cruises. Our experts will walk you through the various itineraries to select the perfect one for you. We have excellent relationships with the various lines offering river cruises and will help you find the itinerary, cruise line, ship and cabin category that best suits your needs and taste. Excellent food and wine served open seating. Dine when and with whom you choose. Explore the waters of some of the most enchanting rivers in the world on your next river cruise. Bask in the beautiful scenery as you pass by, sail through the majestic waters of the Netherlands on the Rhine river, enjoy the timeless journey on the Seine river in France, cruise through the blue Danube in Romania and drift through the legendary waters of the Elbe river in Germany. If you’ve never been on a river cruise we suggest you start with a 7 night cruise on the Rhine, the Danube or the Seine. A cruise on the Rhine generally travels to and from Amsterdam and Basel, Switzerland. It’s a chance to experience 4 countries during your one week journey. If you’re interested in the tulips in Holland, we recommend this cruise beginning in Amsterdam in April. Our favorite one week Danube cruises begin or end in Budapest, a wonderful city for an extended stay. You can travel from Vienna or Passau, Germany. If doing the latter, you can add a stay in Prague. The Seine river cruise goes round-trip to and from Paris. This is a fabulous cruise for people who love history or art. It includes an excursion to Normandy Beaches and Monet’s gardens in Giverny. Longer cruises are also available. Among our favorites is the 2 week cruise from Amsterdam to Budapest and the Grand France which combines Burgundy and Provence along with the Seine river cruise. However, there are lots of other possibilities to more exotic locations. These include Africa, China, Russia, Vietnam and Cambodia, and Myanmar. Many of these cruises include land portions as well. Wherever you wish to travel, Kingsbridge Travel will make sure your vacation is the perfect fit for you. 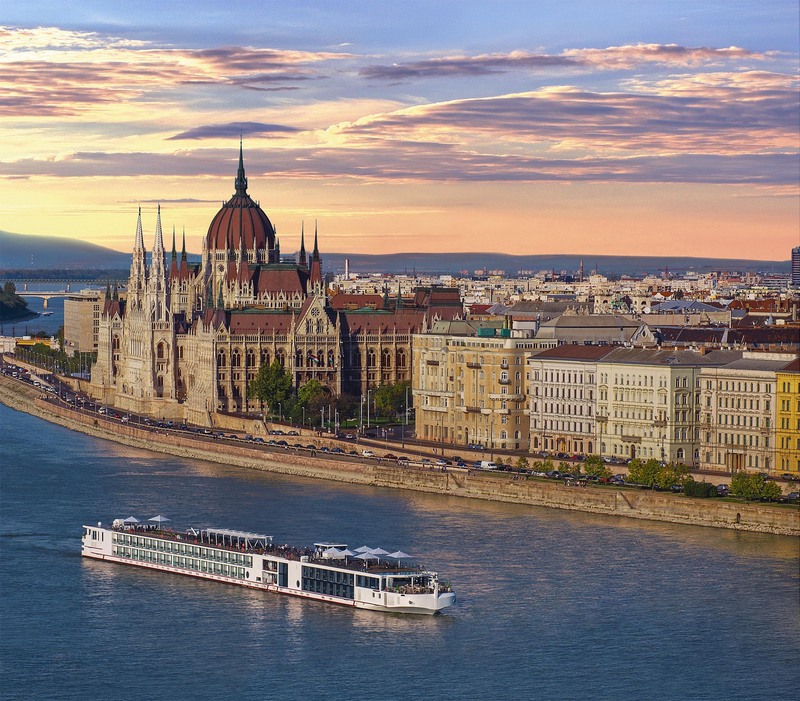 Our travel specialist Diane can make your river cruise expectation a reality. Whichever river you wish to cruise, let Kingsbridge Travel take you there.